Soft Blue is supporting Urban Academics© as a learning environment to deliver technology driven education solutions to the home, school, community and justice centers. We are currently opening our doors for strategic relationships, investment, partnerships and research opportunities that directly address our Urban Academics philosophy. Be a supporting partner by helping us provide edutainment resources for our constituency. Be a sponsor and bring your product / service to the Urban Academic site. 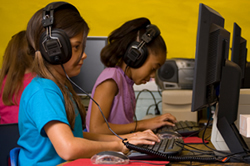 Linking communities to educational online resources for the urban learner. Learning can be challenging and fun. Our goal is to inspire a passion for learning and provide urban learners the key to success in education. “Mind the Gap from where you are to where you want to be". That is Urban Academics philosophy for education insight and opinions that connect you to our communities of educational resources. Learning should be self-motivated, stimulating and self driven to create lifelong academic enrichment. Urban Academics places the user in the driver's seat, and through its gateways of knowledge make social economic status distance and time non-issues in the quest for learning, accessing or sharing information. Urban Academics have manifest from an idea a concept to research what differentiates academic excellence from poor educational performance. We ask the question can Street Smarts complement book smarts and does being smart equate to making intelligent decisions. We're engaged in analyzing the academic needs of all populations of society in a way that mirrors or reflects the individualized learner as oppose to standardizing a particular form of teaching. Everyone thirst for knowledge and strive to overcome obstacles. We provide the tools and resources to aid in that process through our academic alliances and partnerships. What is important, we have shared resources, developed solutions and created a means by which there is a bridge of knowledge that is global in scope. Urban Academics values education and lifelong learning, that is offered any time anywhere; educational options, which include flexibility partnering and resource sharing that is of paramount importance. Abstract Virtual Partners Building Virtual Worlds is the concept adopted by Urban Academics. The breadth of information exists only to be expertly navigated and “consumed” by its users. In order to garner expert navigation of this tide of information, a system of gateways were created to provide its users with the ability to select, access, organize, centralize and partner to share resources. Urban Academics values education and lifelong learning that is offered “Any where Any Time.” Today, time is precious, but too often an elusive commodity. For people of color, this is of particular concern. There are many of them who have valuable information and find themselves without the time or mechanisms neither to fully utilize their resources nor to share with others. 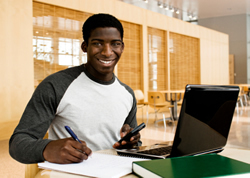 That is why educational options which include flexibility, partnering and resource-sharing are of paramount importance to those of the African Diaspora. Urban Academics values and fosters education which can be individualized and free of the confines usually associated with more traditional on-site and in-class settings. The company, through its gateway of knowledge, makes socio-economic status, distance, and time, non-issues in the quest for learning, accessing or sharing information. Knowledge for knowledge sake is arbitrary. What is important is to create a means by which there is a bridge of knowledge that is global in scope. Urban Academics also operates from a premise that learners have an idea of what it is they want to learn. Fundamentally, the value system is based on recognizing the contributions to academia by people of color which are all too often underrepresented in education. Learning should be self-motivated, stimulating and self-driven. At Urban Academics, we place users in the driver’s seat. The company operates from the belief that the fundamentals of knowledge are often multidisciplinary. Building a base of knowledge and resources which are cross-disciplinary and applicable to the daily lives concerning people of color is the aim. It is also pertinent that the notion of acquiring knowledge is equal to that which is shared. Access to information is but one aspect to obtaining knowledge. The other is to extract what is useful, provide proper application and facilitate an ability to share it with others similarly situated. That is what Urban Academics does for its users. 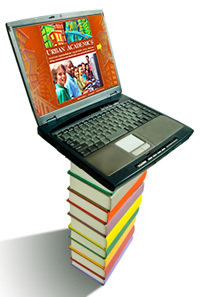 The company is more than a mere resource center or library on the Internet. It is a place where people of African descent and others can develop partnerships world-wide. This company values innovative ways to teach, entertain and foster interaction amongst its clientele. This innovation includes more virtual ways to make this possible. By building socially, economically, academically and responsibly offered resources and virtual spaces, the company enables a bridging of people, knowledge and time. Moreover, Urban Academics provides mechanisms by which a matrix of resources is obtained and educational pursuits tailored by the client, as aforementioned, anywhere any time. 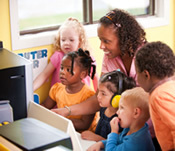 Linking communities to educational online resources for the urban learner. Urban Academics places the user in the driver's seat, and through its gateways of knowledge make social economic status distance and time non-issues in the quest for learning, accessing or sharing information. Urban Academics will feature a new personal gaming simulation for its users stay tuned for the future launch of our new service coming this summer.